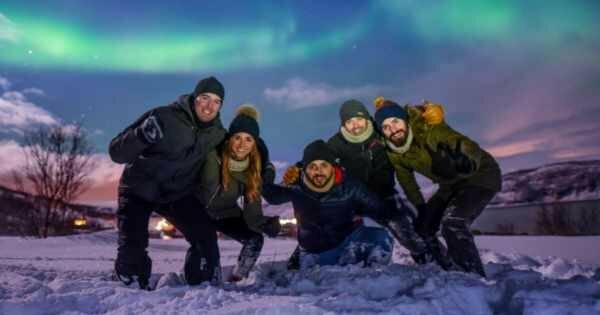 Great ready to witness the most spectacular natural phenomena on the planet the unique and beautiful custom tours to the Northern Lights. Said to be the most magnificent light show on earth, be enchanted by the mythical fairytales of its presence seen best when you book a private guided tour to Troms Fylke arise in awe of the Aurora Borealis and custom trips to Norway's gateway to the artic. "Breathtakingly beautiful! A once in a lifetime, totally unique opportunity perfect private tours of the Aurora Borealis it’s a must see“ - Kimberley Atkinson, UK. Also famous for its husky and reindeer sledging sightseeing private tours, cruising the Fjords and Lapland excursions Troms Fylke is sure to leave you bewitched with its spellbinding beauty! Troms Fylke is the best place and most popular destination to book private custom tours to see the Northern Lights. If you get the opportunity to go on any tour in any destination in the world one time in your life then Troms Fylke should be on your bucket list for some of the best private tours in the world. With our cosy van, we will take you to the places where Northern Lights are the most visible and we will have a delicious dinner while getting warm by the bonfire. Join us!